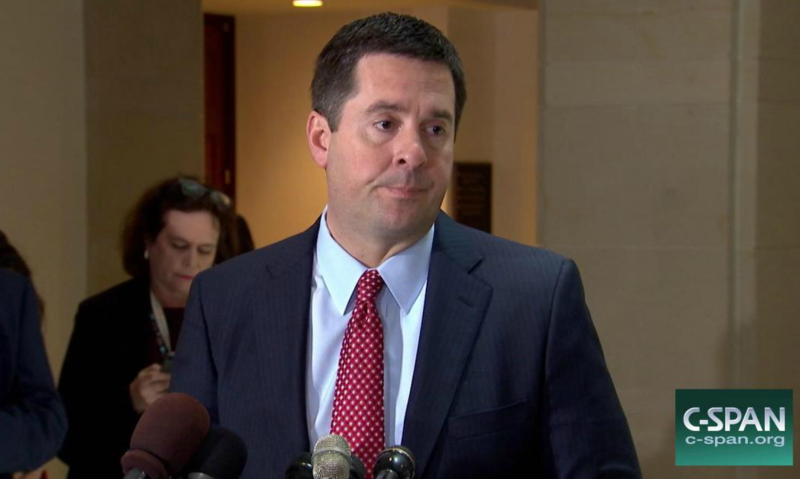 WASHINGTON – Devin Nunes, chairman of the House Intelligence Committee, vowed Wednesday to “vigorously investigate the various ways in which President Trump is innocent of any connection to or collusion with Russia or Russian government representatives.” Nunes briefed reporters at the Capitol and read from a prepared statement before taking questions. Nunes has seen his impartiality questioned after first serving on President Trump’s transition team and most recently for briefing the White House, rather than fellow members of the committee he chairs, about evidence he claims prove that the names of Trump or members of his campaign team were swept up in incidental collection related to separate investigations. Wednesday, however, he said he’s “more committed than ever” to investigating the innocence of President Trump and his campaign team. Nunes recently cancelled hearings that would have featured testimony from former acting Attorney General Sally Yates, former CIA Director John Brennan and former Director of National Intelligence James Clapper, as well as meetings of the committee itself, according to other members of the committee. But that doesn’t mean Nunes is any less committed to proving the truth about Trump’s lack of collusion or involvement with Russia in the runup to the 2016 presidential election.